Since 2006 more than 35.000 prosthetic hands have been manufactured. About 33.000 of them have already been assembled and delivered to end-recipients in 80 countries worldwide. Helping Hands is a philanthropic project run by the Ellen Meadows Foundation. 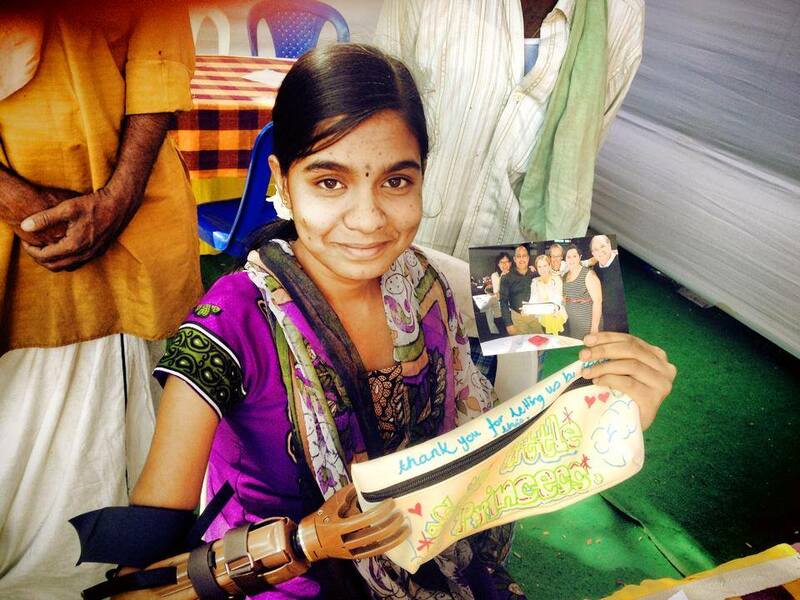 We deliver prosthetic hands to end-users in third-world countries at zero cost to the recipient. Your decision to participate will directly impact someone’s ability to live an independent life. We strive to provide a simple yet fully functional prosthetic hand to every person who needs one and can benefit from it, and do so at no charge for the recipient. The LN-4 is a simple, fully functional, heavy-duty, easy to maintain, full-hand prosthesis. An assembled LN-4 weighs 450 g, attaches to the residual limb within a couple of seconds and safely carries loads of up to 12 kg. LN-4 recipients may have lost their hand(s) through trauma, disease, or congenital conditions. Many of them are civilian land mine victims. There are more than 100 million active land mines estimated to be still dispatched around the globe. More than 300.000 people worldwide have suffered an injury from a land mine explosion, 20% of them are children. You’ll discover an unprecedented blend of individual and team development intervention with CSR. Enjoy a unique ready-made team activity with tangible and lasting impact on morale. 95% of funds raised go directly to the end-recipients. Do you find the project meaningful and want to follow it? Submit your email address and we’ll keep you posted. The hands assembly can be delivered as part of a professionally facilitated workshop by Odyssey, typically focused on the areas of customer-centricity, teamwork, communication, leadership. It gets through to the participants with a whole new level of impact – borne from a deeper sense of connection to customers, colleagues, products.